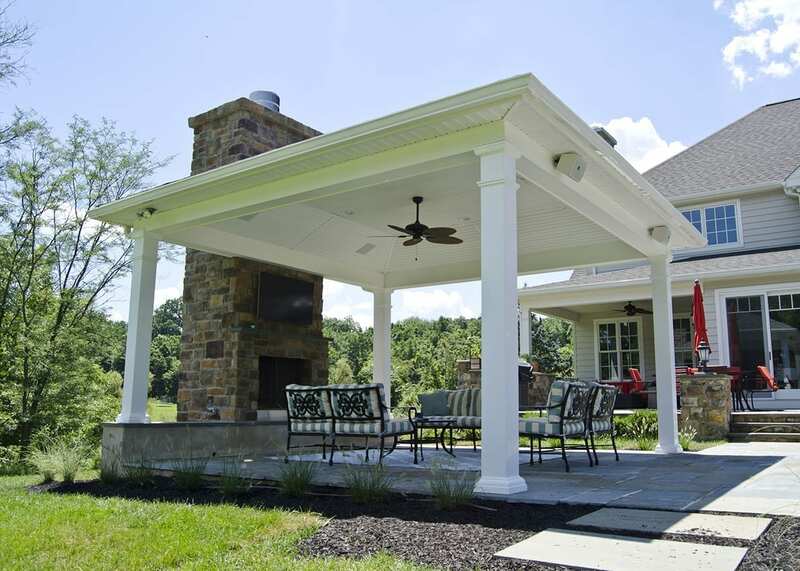 This custom built outdoor living space was built with a hip style roof and features a custom built stone fireplace. The pavilion was also wired for sound and lighting. This space was finished in the summer of 2015.